The emerging humanitarian crisis that has been rocking Myanmar – where an estimated 370,000 Rohingya have been forced out of the country – has prompted broad international condemnation. But so far it has translated into little concrete action. United Nations (UN) human rights chief Zeid Raad Al Hussein has called the Rohingya’s plight a “textbook example of ethnic cleansing” following a similar statement from UN Secretary General António Guterres. While Western countries have been slow and hesitant to respond, leaders of Muslim-majority countries – particularly Malaysia, Indonesia, Bangladesh and Pakistan – have sought to place as much international pressure as possible on the Myanmar government. The strongest and most vocal response of all has come from Turkey. Indeed the Turkish president, Recep Tayyip Erdoğan, appears to have appointed himself as the international voice of the Rohingya Muslims. According to a Turkish government statement, Erdoğan is the first one that managed to get permission for humanitarian aid to enter Myanmar. The Burmese government had, at the peak of the violence, blocked all UN aid towards the Rohingyas. And so, on September 7, Turkey’s foreign aid agency, TIKA, became the first foreign outfit to deliver an initial shipment of 1000 tons of basic foodstuffs and medicine to the conflict zone in Rakhine state, where the majority of Rohingyas live. Turkey simultaneously announced plans to distribute humanitarian aid to the Rohingya camps in Bangladesh. 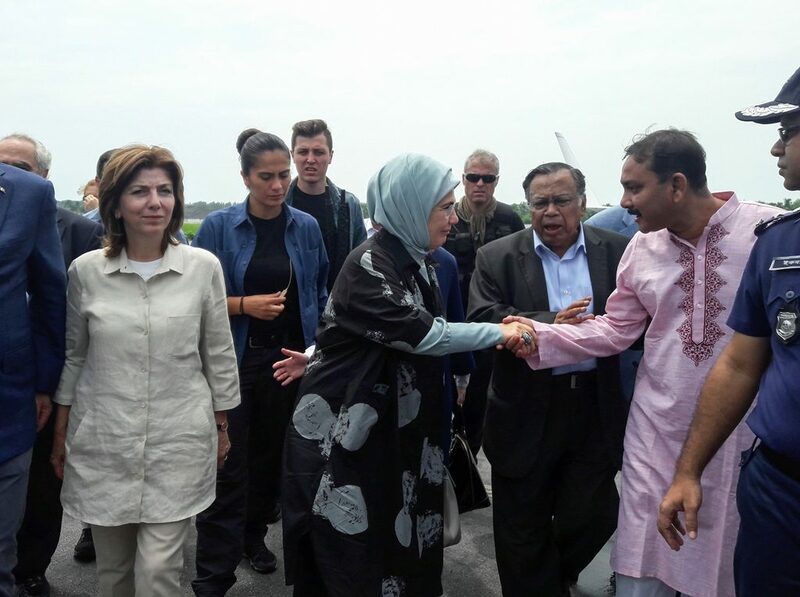 The move was widely publicised as Emine Erdoğan, the Turkish president’s wife visited the camps at the same time. 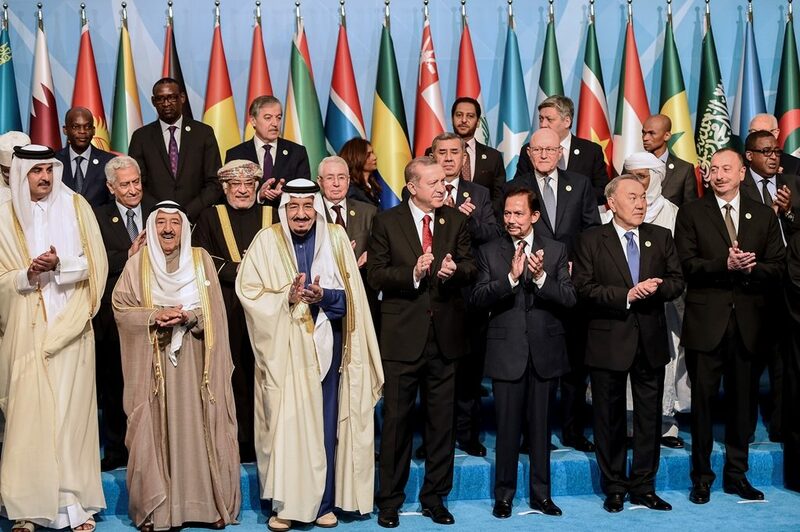 Meanwhile, during a meeting in Astana, Kazakhstan, Erdoğan as the current chief of the Organisation of the Islamic Conference (OIC) formally condemned Myanmar’s attitude towards Rohingyas, taking the lead on the topic on behalf of the organisation. He had previously called the ongoing violence a genocide. 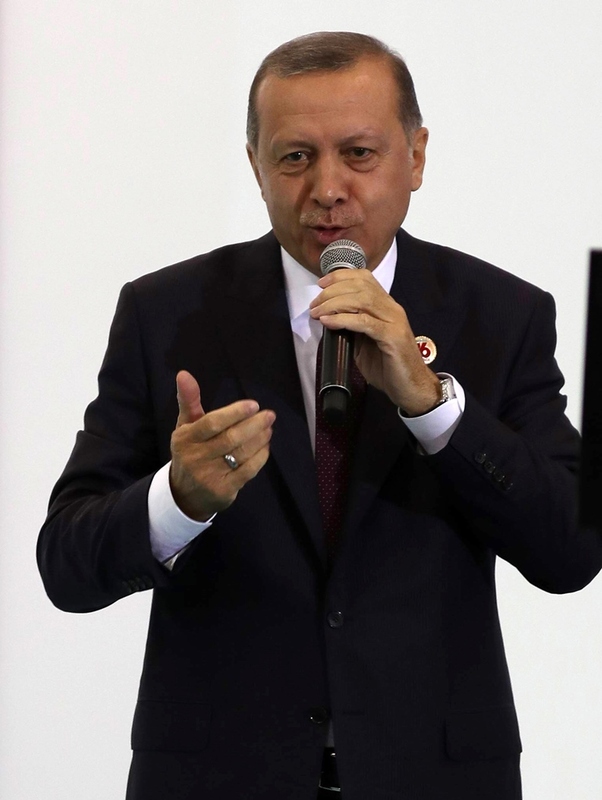 Since the crisis broke on August 25, the Turkish president has taken several actions to gather Muslim leaders across the world to put pressure on the Myanmar government. On August 31, he spoke with the leaders of Mauritania, Pakistan, Iran and Qatar urging them to join forces to find a way to stop the violence against the Rohingyas. Alongside Erdoğan, other Turkish politicians have addressed the issue. Remarks by Mevlüt Çavuşoğlu, the foreign minister, garnered global attention. Mehmet Şimşek, deputy prime minister, even tweeted unrelated images to raise the point, creating a bit of an embarassment. So how are we to explain Turkey’s ambition to take the lead in this current crisis? The political vacuum prompted by the Trump administration’s retreat from global leadership has surely played a part. But, more evidently, Turkey’s longstanding pro-Western approach has shifted. Turkey is a NATO member and aspired to join the EU for years, but under President Erdoğan’s lead and the current AKP government, the country’s foreign policy has shifted towards the global south, seeking new opportunities. Turkey’s foreign policy doctrine now promotes what Bilkent University academics Pinar Bilgen and Ali Bilgiç label “civilisational geopolitics”, “an understanding of culture and civilisation as preordained determinants of international behaviour”. As Bilgin and Bilgiç argue, this new doctrine aims at placing Turkey at the core of geopolitical issues between the West and the rest of Asia, justifying this global engagement by its political heritage – mainly based on its Central Asian and Ottoman history. The shift became most obvious at the end of the 2000s. It has been identified most closely with Ahmet Davutoğlu, a scholar of geopolitics and Turkey’s foreign minister from 2009–14. In 2010 Foreign Policy called him “the brains of Turkey’s global reawakening”. Under Davutoğlu’s watch, Turkey’s global diplomatic footprint expanded dramatically, especially in Asia and Africa. He opened Turkey’s first embassy in Myanmar in 2012 both to take advantage of the potential trade opportunities from the country’s post-2008 liberalisation and because of the Rohingya issue. A subsequent trip in 2013 saw him tour refugee camps and call on the Burmese government to extend citizenship rights to the Rohingya people. This new foreign policy coincides with Turkey’s decade-long ambition to become a global humanitarian power or what Turkish scholars E. Fuat Keyman and Onur Zakak call a “humanitarian state”. The Turkish humanitarian approach has been cast by journalist and former Somali Minister of Planning, Abdirahman Ali, as a middle way between the Western aid model and its Chinese counterpart. Whereas the former is highly conditional, bureaucratic and often security-focused and the latter tends to bolster corrupt ,authoritarian regimes, the Turkish approach – Ali claims – typically bypasses bureaucracy and emphasises “a ‘moral’ standard anchored in protecting human rights and helping the weak”. Turkey has backed this ambition with increased funding for humanitarian assistance over the last five years. Development Initiatives – a UK based NGO – recently reported that now Turkey ranks second in the world for humanitarian aid, having spent around US$6 billion in 2016 (the top-ranked US spent $6.3 billion). One of the other factors is domestic politics. Indeed, much of Erdoğan’s public posturing on the Rohingya issue is entirely self-serving. The image of a strong Turkey reaching out to Muslim’s everywhere in the world– plays very well at home. During his 15-year tenure as Turkey’s leader, the country’s once-marginalised pious Muslim citizens have become increasingly prominent in media, business and politics. Ardent supporters in Turkey – not to mention large segments of public opinion across the Muslim world – thus see him as a champion of Muslim rights everywhere. Erdoğan has studiously crafted this image throughout other crisis, such as in Egypt’s during the 2011-12 Morsi regime or in Palestine. His very public spats with Israel and the West have led some pro-Palestinian columnists in Arabic newspapers to call him the “new Nasser”. Nevertheless, in recent days there has been a modest push back from Saudi Arabia, which appears to be chaffing at Turkey’s leadership on the crisis. Saudi Arabia’s ambassador to Turkey released a statement emphasising the Kingdom’s strong, decades-long support for the Rohingyas. Iran has followed too, promising shipments to reach Myanmar soon. Erdoğan has promised to raise the Rohingya issue on September 19, at the annual meeting of the UN General Assembly – which Myanmar leader Aung San Suu Kyi is avoiding. His calls to protect Muslims worldwide could be a key moment for Turkey’s diplomatic leadership but whether other Muslim countries would follow or not will tell the limits of Turkey’s so-called “humanitarian politics”. Remark: This article was originally published by www.theconversation.com in September 13, 2017.